Blood sample should be collected 4 hours after waking. Prolactin is a hormone produced by the Pituitary gland which is situated at the base of the brain. Prolactin is normally produced in both males and non-pregnant females in small amounts. The main function of this hormone is to stimulate milk production (lactation) after childbirth, so, it is also known as the milk-producing hormone. The levels of prolactin hormone are generally high during pregnancy and after childbirth. But, high levels of prolactin can also be seen in many disease conditions in both men and women. 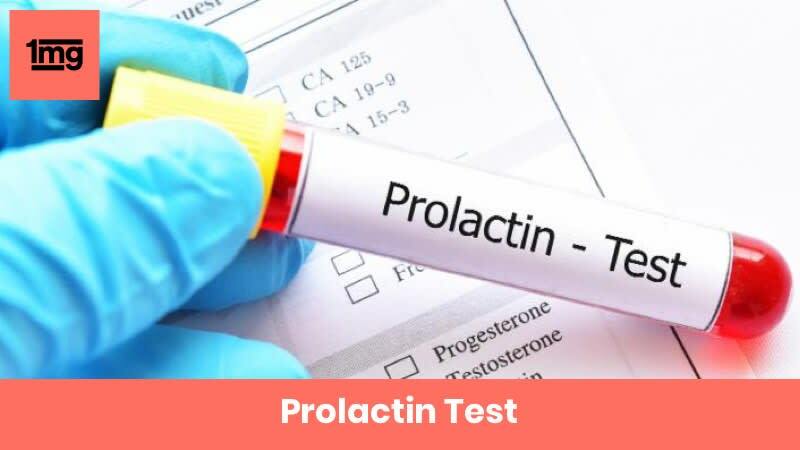 The prolactin test measures the levels of prolactin in the blood, to check and monitor the associated disease condition. The prolactin (PRL) test measures the levels of prolactin in blood. The prolactin hormone is produced by the pituitary gland which is located at the base of the brain. The primary function of this hormone is to help in lactation i.e. production of milk after childbirth. Prolactin levels are usually high during pregnancy and after childbirth. During pregnancy, this hormone along with other hormones like estrogen and progesterone stimulates the breasts for milk production. After the childbirth, it helps to maintain the breast milk production. Suckling of the breasts by the baby is important for the release of prolactin hormone. If a woman stops breastfeeding, the level of prolactin hormone will return to normal. Abnormally high levels of prolactin are seen in certain disease conditions like prolactinoma (non-cancerous tumor of the pituitary gland) in men and women. It is generally benign (non-cancerous) in nature and is seen more commonly in women. If the tumor is quite large, it can put pressure on the optic nerve and the patient may present with headache and visual disturbances. Q. 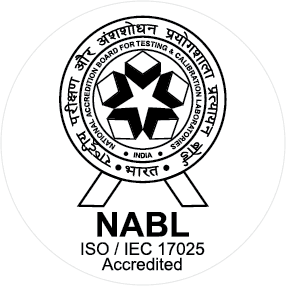 Are there any precautions required to be followed before the prolactin test? The blood sample is collected 4 hours after waking up as the levels of Prolactin hormone are at the peak immediately after waking up. Inform your doctor if you are taking any medicines including herbals or any over the counter (OTC) medicines as they may interfere with your test values. Q. Which medicines can affect the levels of Prolactin hormone? Certain drugs can decrease the levels of Prolactin, such as Dopamine (used in conditions like shock), Levodopa (used for Parkinson’s disease) or Ergot alkaloid derivatives (used for severe headaches). Certain drugs can cause elevated levels of Prolactin, such as CNS depressants, Estrogen, drugs used for the treatment of hypertension like Reserpine, Verapamil, Methyldopa and drugs used for treating gastroesophageal reflux like cimetidine. Q. Are there any other conditions which can alter the levels of Prolactin? Yes, there are other conditions in which high levels of prolactin can be seen, for eg., lung cancer, seizures, trauma to the chest wall, stress due to illness and use of Marijuana. Q. The test results showed high prolactin levels. Do I require any other tests? When the prolactin levels are high, the doctor may advise you to get Follicle stimulating hormone (FSH) test, Luteinizing hormone (LH) levels to assess fertility problems. The testosterone test is advised in males when the prolactin level is found high. The doctor may also advise for MRI scan for the diagnosis of prolactinoma. Q. I got my Prolactin levels tested. Now, my doctor has advised me thyroid test. Why is it so? In many patients, high levels of Prolactin are seen along with low levels of thyroid hormones (hypothyroidism), so you may be asked to get your thyroid tests done. However, high levels of Prolactin does not cause low levels of thyroid hormones. Prolactinomas are tumors of the pituitary gland which are usually benign (non-cancerous) in which there is a production of high amounts of prolactin. These are more common in women as compared to men. Prolactinomas may cause menstrual irregularities, infertility and bone loss in women and erectile dysfunction, gynecomastia (breast enlargement), decreased muscle mass and bone loss in men. If the size of the tumor is quite large, it can cause pressure symptoms like headache and vision problems. Q. Are there any foods which can increase the levels of prolactin? Yes, foods such as barley (jau), fennel (saunf) and fenugreek (methi) seeds, oats, whole wheat, brown rice and papaya can increase the levels of prolactin. These foods are considered to be helpful in milk production in new mothers. Q. Are there any foods which can decrease the levels of prolactin? Yes, foods rich in vitamin B6 like bananas, potatoes, chicken, spinach and foods rich in zinc like beef, turkey, beans, shellfish and its supplements can decrease the prolactin levels.